After two successful Mega Man releases on NES, Capcom decided to upgrade the series with a few new twists for Mega Man 3, adding a little more variety to an already amazing series. With eight brand new Robot Masters for players to take on, the game would prove to be a huge success and went on to become a fan favourite among gamers who followed the series. The majority of the classic Mega Man play control returns in full force. You still get to take on the Robot Masters in any order; you have to traverse their individual areas before squaring off with them at the end of the level. Once you defeat the Robot Master you then gain access to their specific Master Weapon. Each Robot Master has a unique weakness, so it's up to you to figure out which weapon works best on the various Robot Masters. This can play a very key role in your success or failure against some of the stronger Robot Masters in the game. 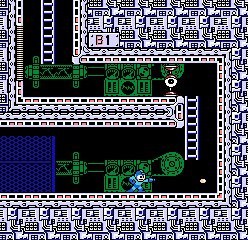 Mega Man 3 injects a little more variety into the overall experience with a couple of new mechanics. The first new twist is Mega Man's slide move. By pressing down on the D-Pad and pressing the fire button, Mega Man will do a short slide move that allows him to quickly avoid certain enemy attacks, as well as slide under previously inaccessible areas located in certain spots throughout the various levels. This might seem like a minor upgrade on the surface, but it adds a surprising amount. Also new to the series is the introduction of Mega Man's canine sidekick Rush. As you add abilities to Rush, he can then be called on to help Mega Man maneuver through some of the trickier spots in various levels. Rush can do everything from turn into a coil to help Mega Man spring high into the air, to turning into a flying jet or submarine for times when these powerful features are needed. These new moves were so well received that they would end up being featured in many of the Mega Man releases thereafter. 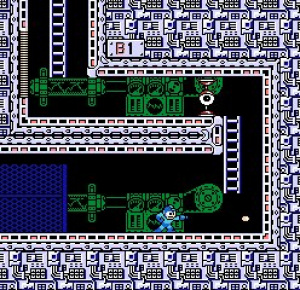 The visuals in Mega Man 3 are as solid as ever. There's still quite a bit of detail in the backgrounds and each level has its own unique look and theme that carefully mimics that of the Robot Master that inhabits it. While there is a little slowdown here and there, it's not nearly enough to cause any problems with the overall experience. The Robot Masters themselves show a good amount of detail and animation too, especially given the fact that this is an 8-bit title. 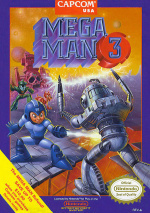 The music in the Mega Man titles has long been a staple of the series and Mega Man 3 is certainly no exception. There are tons of new musical tracks that you'll be humming in your head long after you put the controller down and most of the traditional Mega Man sound effects make a triumphant return as well. Some fans have complained that the Robot Master introduction screen music is a bit of a letdown when compared with the previous two releases, but it's certainly not bad by any stretch either. It's a small gripe with what is truly an overly impressive musical effort overall. 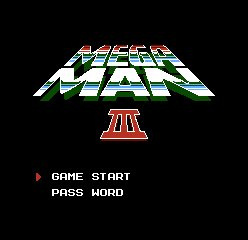 Many Mega Man fans still consider this third 8-bit release as the pinnacle of the series and it won't take you long to see why that is. All the amazing Mega Man action is intact and the Robot Masters are among the best the series has ever seen. While the difficulty is still sky high, it certainly shouldn't shock anyone that's had any type of experience with any of the other Mega Man releases. If you're a Mega Man fan, this should be at the top of your wish list and should be added to your Virtual Console collection immediately. And if for some reason you haven't yet given the series a try, there is really no better place to start than with this absolutely incredible action-platformer release. The best thing about Mega Man 3 is that it doesn't disappoint with the length. Eight bosses, remixed stages, and one long epic castle made this one heck of a satisfying game. The introduction of new characters (Rush and Protoman) are successful. Interestingly enough, the appearance of Protoman (a total cliche, by now) and the battles are totally unrelated to the rest of the stage. They just show up for story's sake. Once again, the ending is cool and the ending theme is a treat. 9.36/10 for me. Mainly becuase PAL issues are not as much of a probelm as the previous two. This is a really good game! In fact, all the 8-bit Megaman games are at least "good" even MM6, which is my least favorite But seriously, why not just get the Anniversary Collection instead of one game at a time on the VC? Lol! Am I the only one who finds this to be the hardest in the series? I've only beaten one stage so far, and that took a lot longer than expected! Not even close. Top Man is very easy. And you shouldn't have problems with some others either. I'm not very good at Megaman games really but I can still beat several stages here. It is an incredibly hard Mega Man especially after you've defeated the original 8 robot masters! I've always preferred Mega Man II. Also Serge, the Anniversary Collection has the jump and fire buttons backwards and you're forced to use the Gamecube's analog stick! I own it, but I've also been downloading the VC games because they are much truer to the originals. 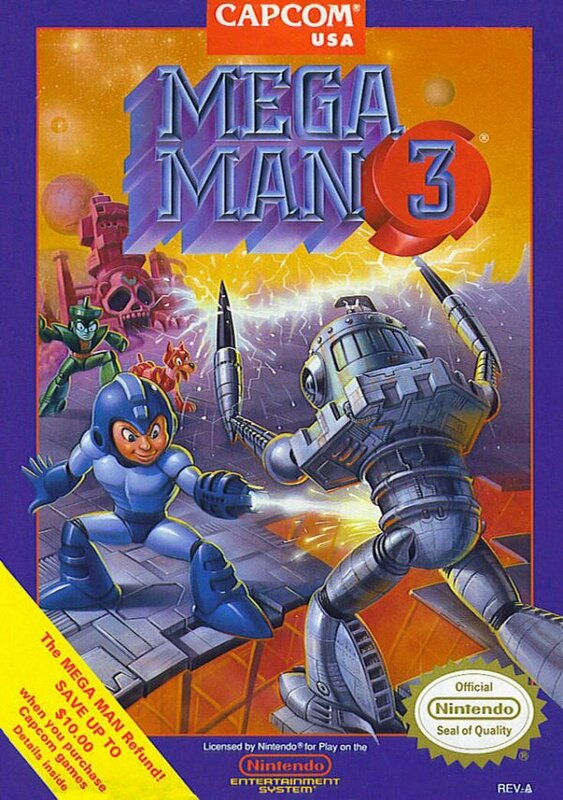 This was my first NES mega man game I bought, and I love it more than the GB versions. Can't wait until Mega Man VI comes.